4.96 Cts of 4.36-4.45 mm AAA Round ( 12 pcs ) Loose Fancy Black Diamonds . 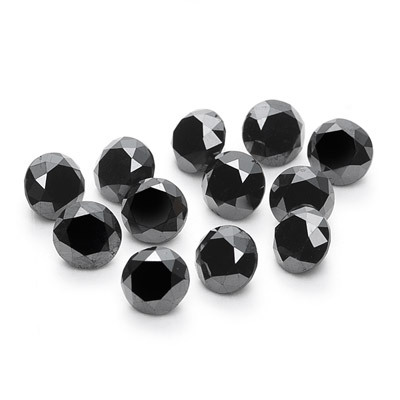 This is a parcel of twelve AAA quality Loose Round Black Diamond measuring 4.36-4.45 mm. Total Black Diamond Weight: 4.96 Carats.